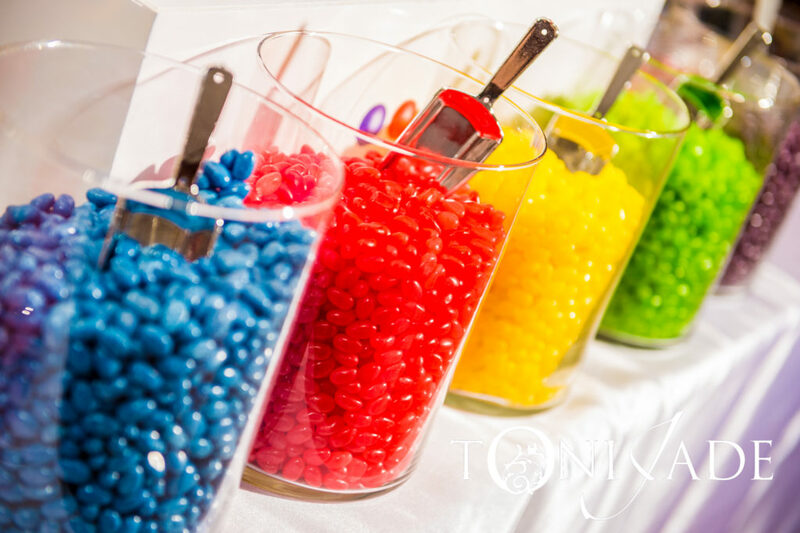 styledevent.com | I Want Candy! 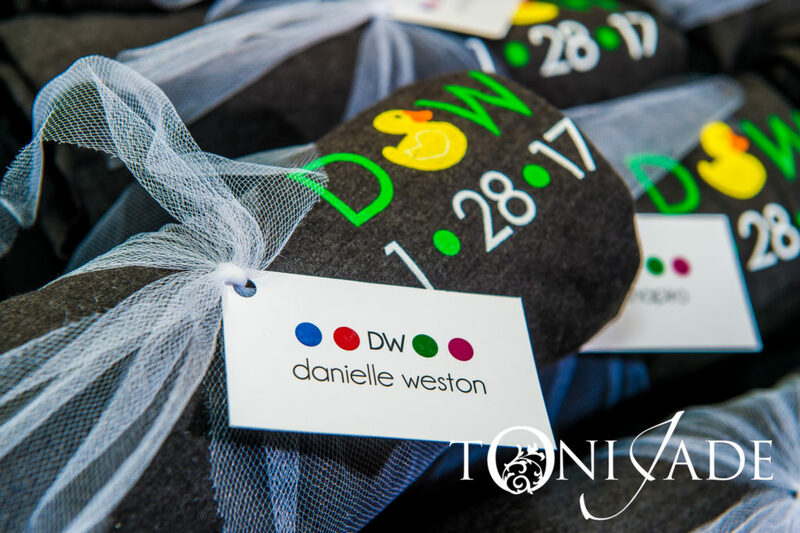 We know a girl who is so sweet… we were a match at our first meet. 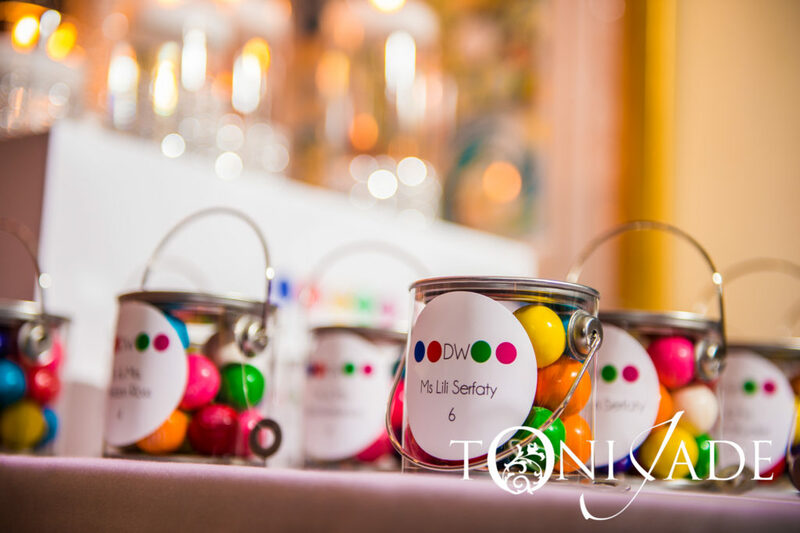 Our mitzvah Guest of Honor loves candy, but did not want an old-fashioned Candyland or even the very popular Dylan’s Candy Bar theme. 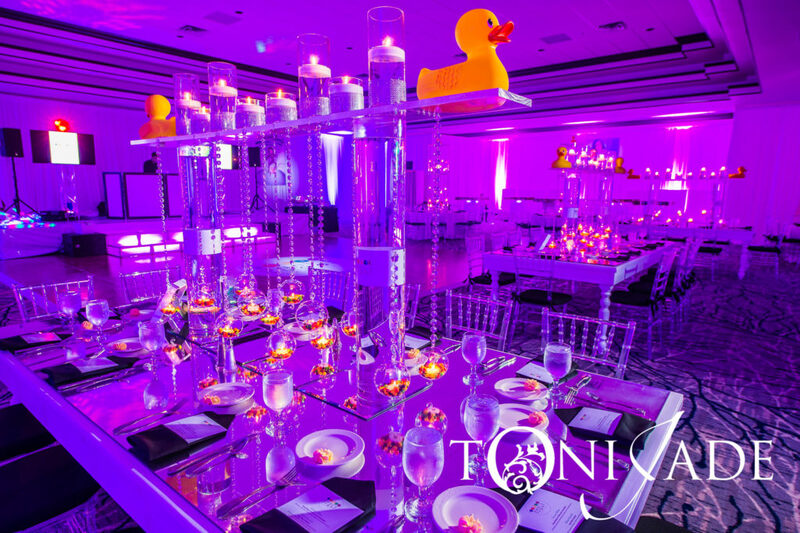 She wanted a more sophisticated and contemporary version, which happens to be just our style. 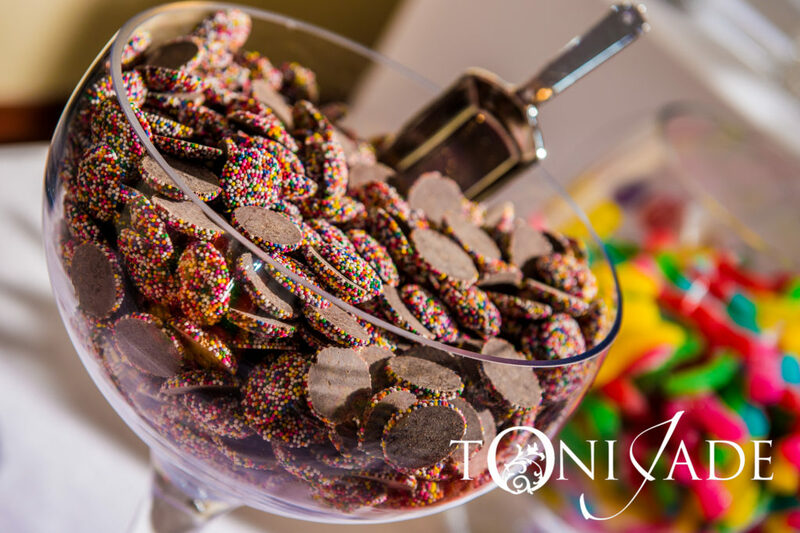 Therefore, we meshed perfectly just like chocolate and peanut butter. 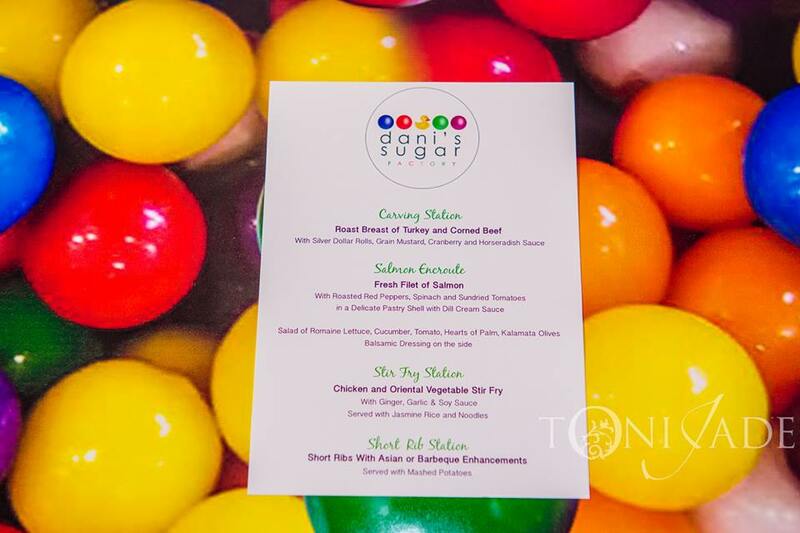 We decided to go the route of replicating one of the world’s newly famous sweet spots, the Sugar Factory. 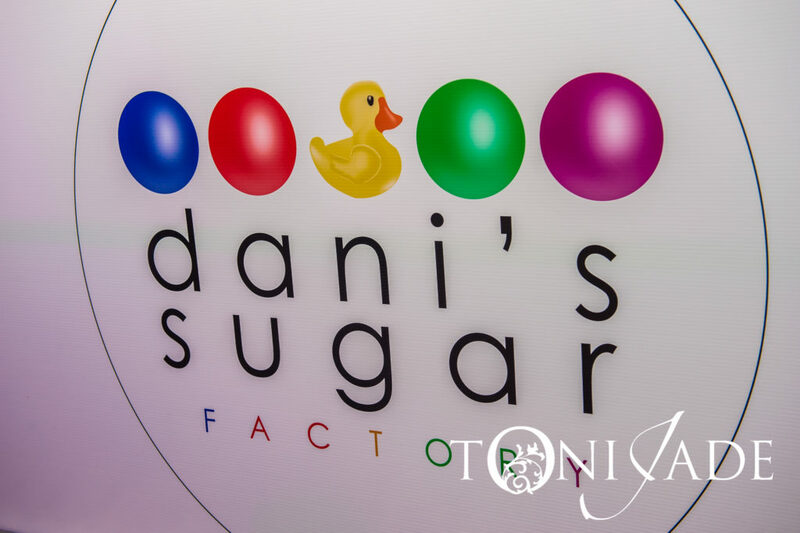 Best known for its celebrity-endorsed couture pops, the Sugar Factory has become a part of today’s popular culture and was the inspiration for Danielle’s big day. 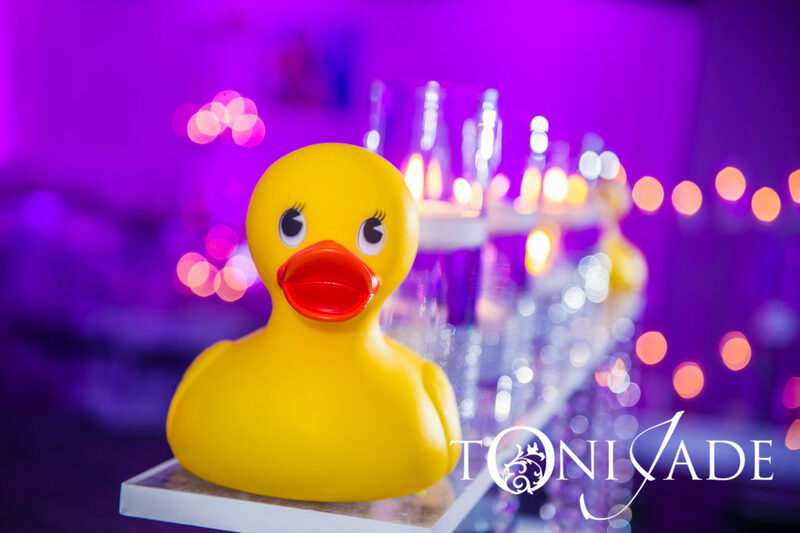 The logo was obvious, we wanted it to mimic that of the one-of-a-kind establishment, and Alexander Mason Designs had no problem creating it for us. 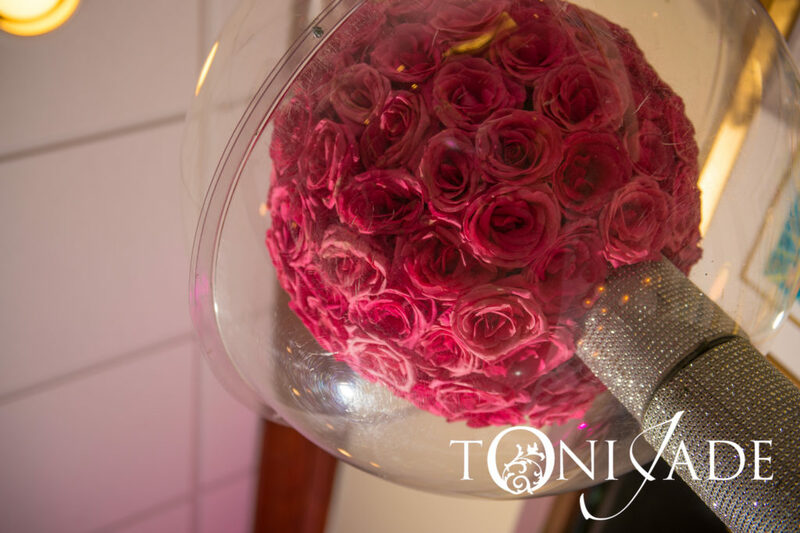 We then took our inspired vision to Dalsimer Atlas Floral & Event Decorators, and the design plan started with creating a giant replica of the signature pop as our entry way centerpiece. 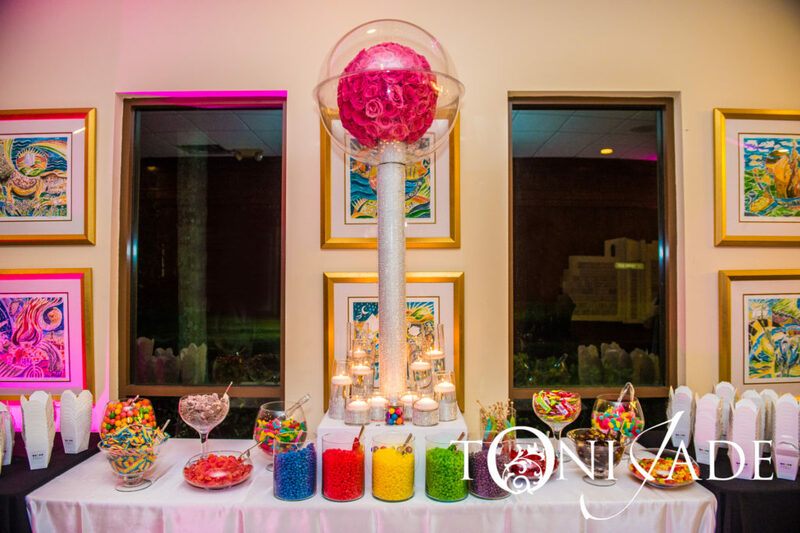 The blinged-out 4 foot tall lolli, topped with a large ball of hot pink roses and enclosed in a clear case, greeted guests with their gumball bucket seating assignments before they entered B’nai Aviv of Weston’s ballroom. 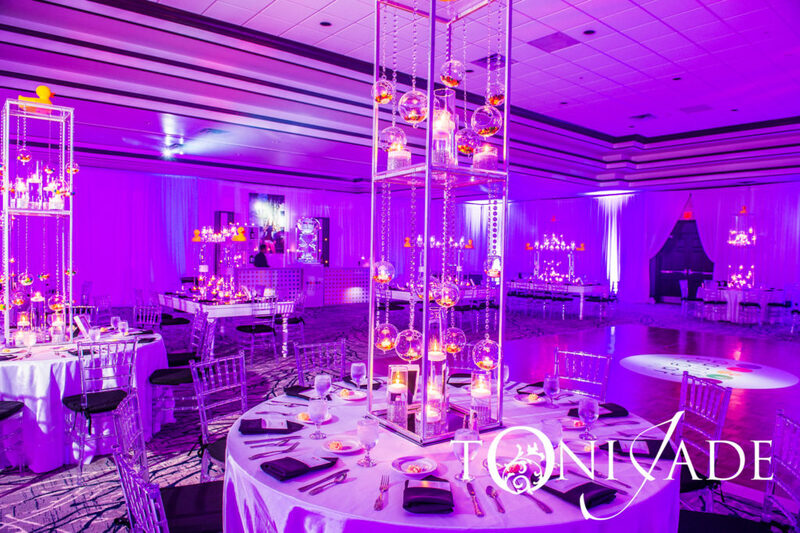 A mixture of beautiful mirrored royal tables and traditional rounds housed large centerpiece structures. 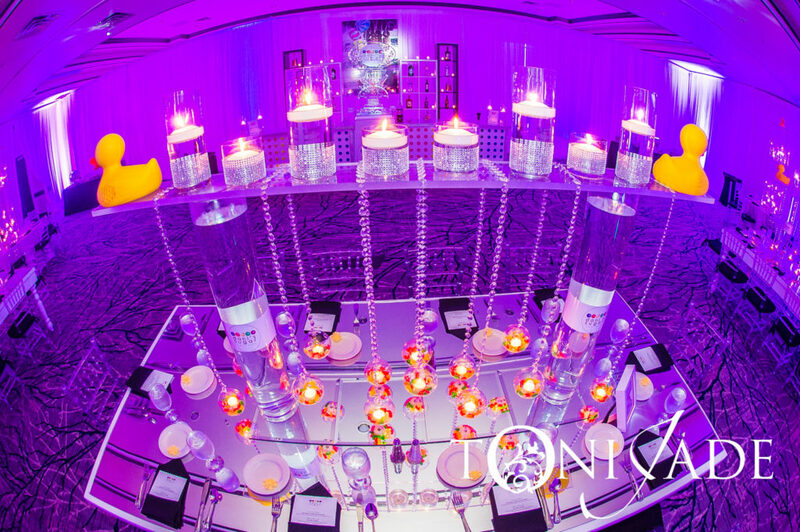 Each included plenty of crystals, candles, and candy-filled glass candlelit globes and were topped with Sugar Factory’s famous squeaky yellow mascot, the rubber duck. 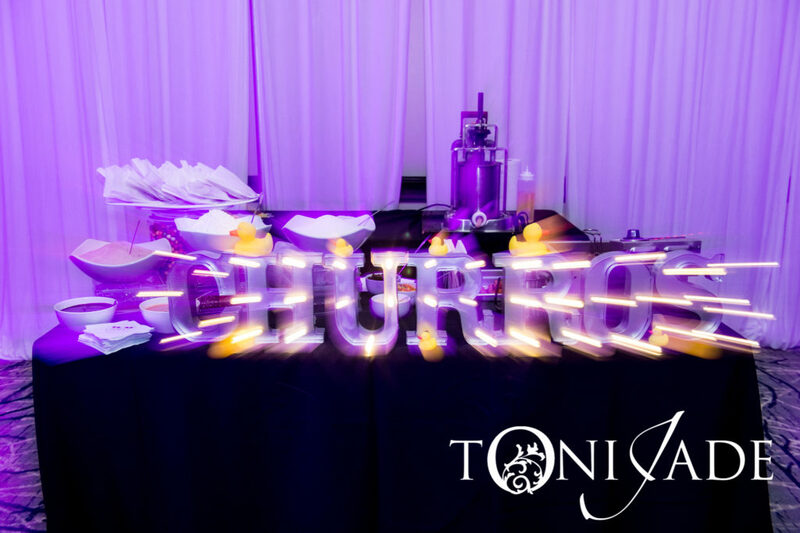 Steve Greenseid Catering presented a variety of delicious food stations, and the bars poured Danielle’s signature drinks, “Gummy Bear Martini” and “Pink Cloud Lemonade”. 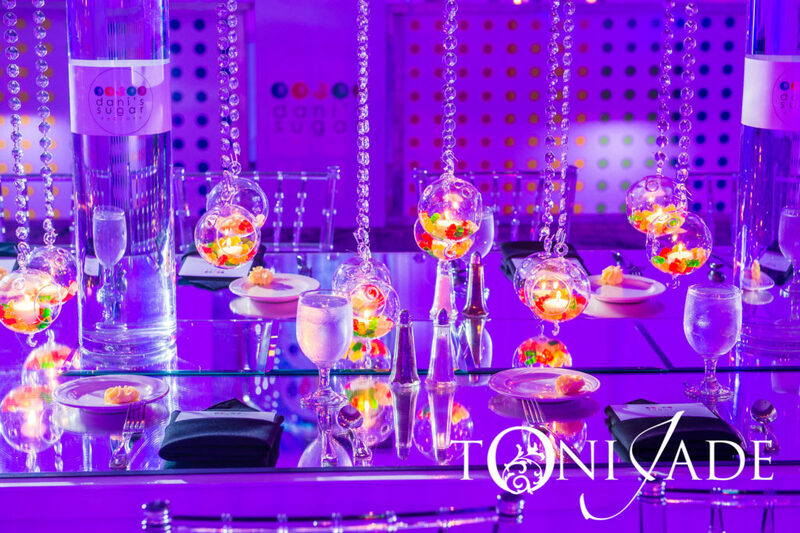 Although the goblets were not smoking like the ones at the brasserie, adult guests enjoyed their cranberry juice, peach Schnapps and raspberry vodka creation with a gummy bear garnish, and the teens loved their specialty beverages served with cotton candy and a sugar-coated rim. Cici, our MC, with Pure Energy Entertainment, commanded the stage with her amazing talent and great presence. 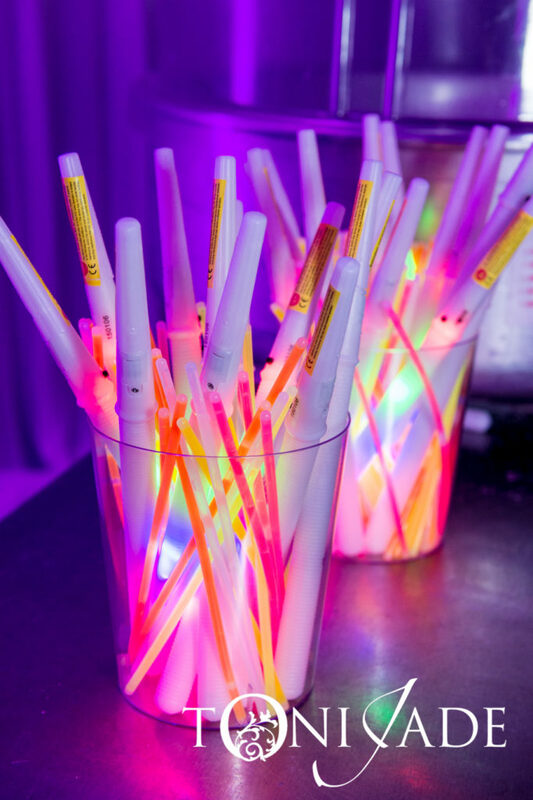 However, this sugar-high crowd didn’t need much to get them on the dance floor. The dancers continued the hype as the DJ played rockin’ dance sets including an incredible Latin one. 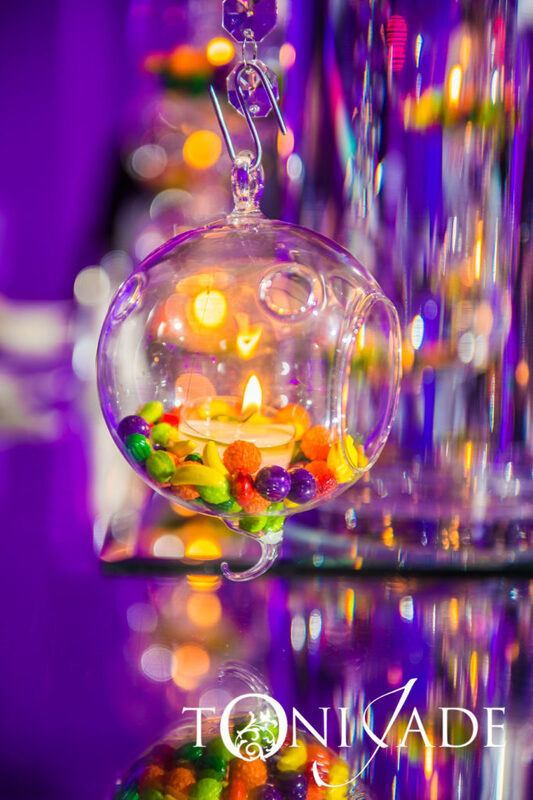 Later on the Donut Diva dessert room opened for guests to indulge in a few more sugary surprises. 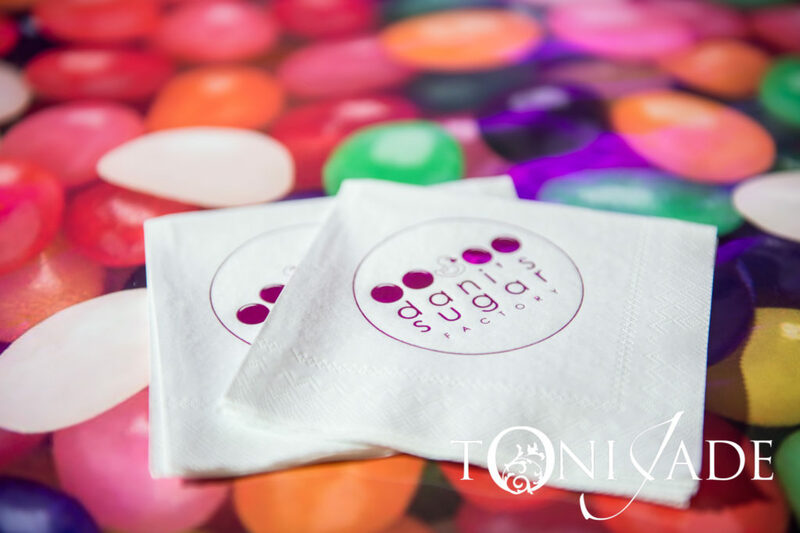 Freshly made cotton candy, churros, fried Oreos, and fried dough with all the toppings were just the right complement to the menu. 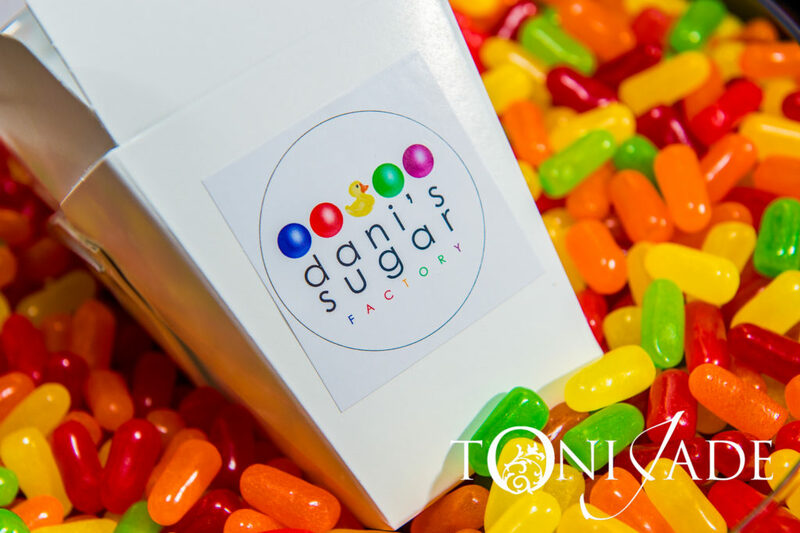 Just when everyone thought they had enough, a candy bar was positioned at the exit for a sweet take-home treat along with Danielle’s custom logo hoodies which were perfect for the chilly evening. 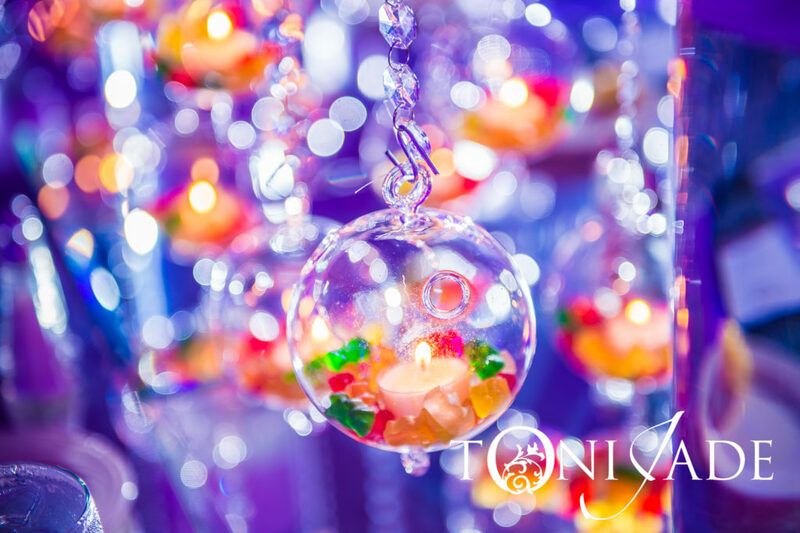 Toni Jade Photography captured every moment and every smile of the entire evening to make these sweet memories last a lifetime. 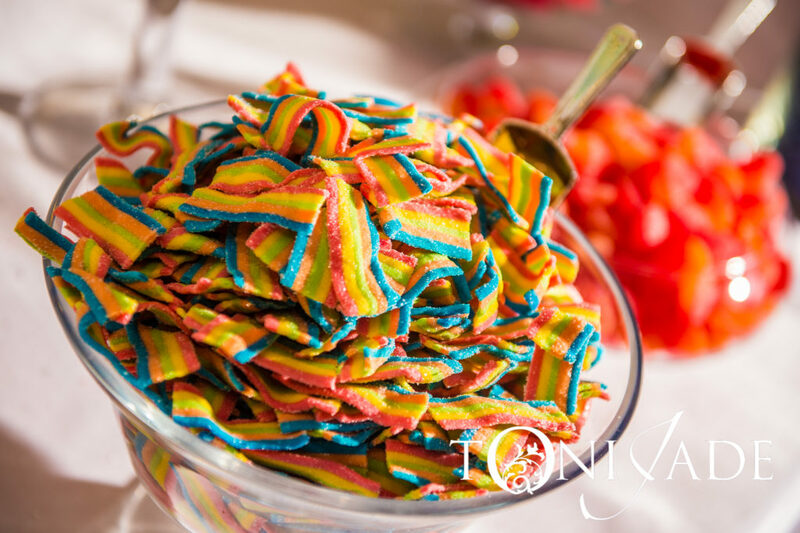 Anything sprinkled with sugar on top makes a STYLED EVENT. 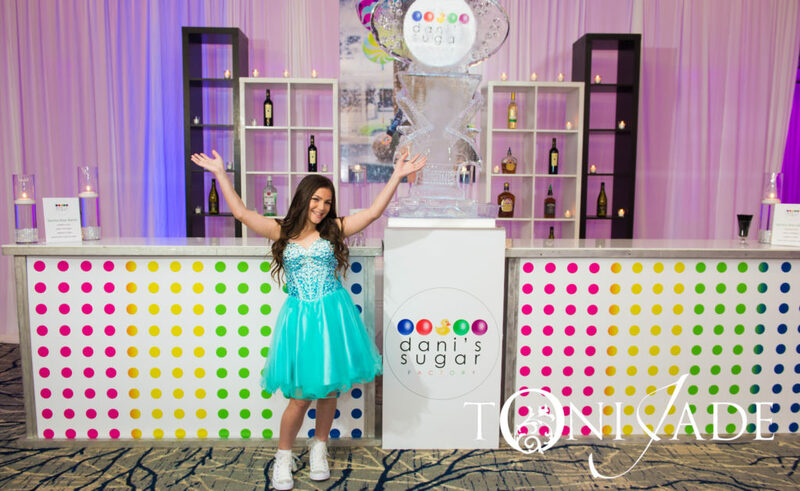 Mazel Tov to Danielle and her family!